Mi Alma is a popular Sunseeker 105 model in beautiful condition having undergone a refit in 2018. Featuring many build upgrades and highly specced, she has been exceptionally maintained throughout her lifetime. Able to welcome eight guests in four cabins, the yacht‘s layout includes two master staterooms – the great two-level master stateroom, located on the main deck, with features including a Jacuzzi, and the second full beam light-filled master – and two further guest cabins. 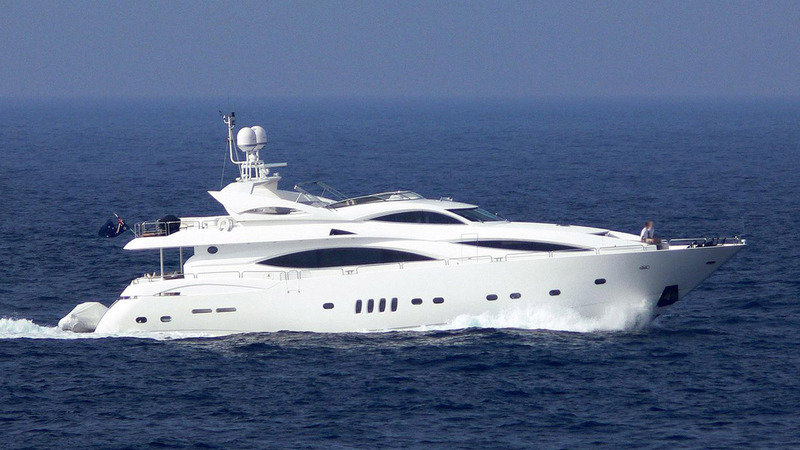 This configuration makes her well-suited to mixed or family groups and for both private and charter use. Like all Sunseekers, on board volumes are generous and Mi Alma boasts large guest spaces including the roomy main saloon, designed for relaxation, with aft bar, lounge seating and a formal dining space.